NTSE Admit Card 2019 - SCERT of States and Union territories have released the NTSE 2019 admit card of stage 1 in the third week of October, 2018. NTSE admit card of some States have released the hall ticket online while others will provide it to students offline. Students can collect the admit card of NTSE by the school authorities. The NTSE 2019 exam for stage 1 will be conducted on November 3, 4 and 18, 2018. NTSE Admit card will be released separately for NTSE stage 1 and stage 2. 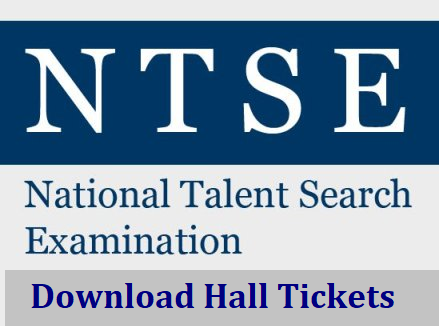 Candidates must check all the details mentioned on NTSE admit card 2019 for its accuracy. In case of any mismatch, students should inform it to the school officials. NTSE Admit card of Stage 2 will release in April, 2019 in online mode. It will be issued to only those candidates who qualify the Stage 1 of NTSE 2019. Read the complete article below to know more about NTSE admit card 2019. The admit card will include candidates’ information including their name, roll number and other particulars. The admit card of NTSE 2019 will also include examination related information, i.e., date and time of the exam as well as venue details. The NTSE admit card being an important document should be kept safe. It is mandatory to carry the admit card of NTSE 2019 on the day of exam. No candidate will be allowed to sit for the exam without it. It is advisable to the candidates to keep extra copies of the NTSE admit card (hall ticket) and save it for future correspondences. It should be noted that the NTSE exam conducting authority will not send NTSE admit card 2019 by post therefore, they are required to collect it from school or take a printout online. Click on the link beside the State in which one has applied.